TCM in Singapore has a humble start. In the 1950s to 1960s, Singapore was a developing country with poor state of health care facilities. It was during this time that a group of TCM physicians saw the need to provide affordable medical care for the general public. Hence in 1952 they established the “Chung Hwa Free Clinic”, providing TCM treatment and healthcare to the public at a very low cost. This free clinic was later renamed Singapore Chung Hwa Medical Institution in 1956. 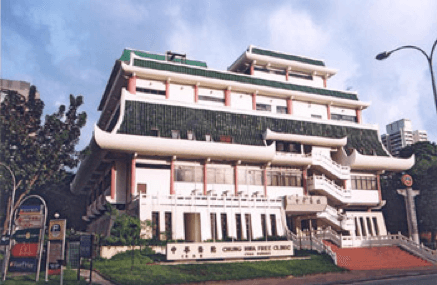 To ensure the professional standard of TCM treatment is upheld, the Singapore College of Traditional Chinese Medicine was established in 1953 to provide quality TCM training and education. To date, graduates from this college are practicing TCM in various parts of Singapore, either in private establishment or in the free clinics. TCM in Singapore took a great leap in the year 2000 when all TCM physicians who want to practice TCM in Singapore need to pass the Singapore TCM-physician Registration Examination (STRE) conducted by TCM Practitioners Board (TCMPB) of Singapore. TCMPB is a statutory board established under the Traditional Chinese Medicine Practitioners Act 2000. TCMPB registers TCM practitioners, accredits TCM institutions and TCM courses for the purpose of registration and regulates the professional ethics and conduct of registered TCM practitioners. With the STRE, patients can be assured that qualified physicians possess the professional standard required by the regulating board. This has also seen the professional standard of the TCM practitioners in Singapore being elevated over the years. Previously, diploma in TCM course was being offered in Singapore. Hence, a person with a diploma in TCM can be registered as a TCM practitioner. Now, diploma course in TCM is no longer available in Singapore. Only degree or post graduate courses in TCM are being offered. The post graduate programs (Master and Doctorate of TCM) are jointly conducted with Nanjing University of Chinese Medicine and Beijing University of Chinese Medicine. With these collaborations, the number of TCM practitioners who chose to further their study in Nanjing or Beijing has increased greatly. Besides lectures, they also have the opportunity to do their practicum in the Provincial TCM Hospital in China to further hone their skills. Hence, the number of TCM practitioners with Master or PhD qualification has increased steadily over the last ten years. This pool of qualified TCM practitioners are being absorbed into either private practice, TCM group practices or established medical institutions where western and TCM treatments go hand-in-hand, providing holistic medical care for the general public. Now it is not uncommon to find TCM clinics in many of the hospitals in Singapore. Thomson Chinese Medicine, a subsidiary of the Thomson Medical Group is one such example. Our physicians are fully qualified TCM practitioners accredited by TCMPB. Each of the physician has his/her special interest area such as fertility (for both male and female), gynaecological and obstetrics, paediatrics, digestive, respiratory, skin, pain, allergies etc. With the introduction of the Continuing TCM Education (CTE) in Jan 2013 by the TCMPB, we can expect the professional knowledge and practice standards of TCM practitioners to be further strengthened. May all practitioners continue to diligently glean from the ancient classics and serve the community with the same spirit of love and compassion that our forefathers had to pass on this great legacy.